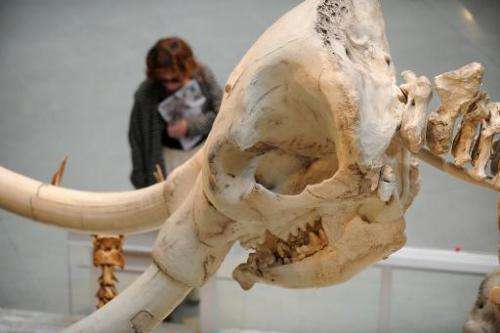 An Argentine man digging a well in his yard struck fossils believed to be the bones of a 10,000-year-old mastodon, an extinct mammal. "We presume this is a mastodon and its ivory tusk, but we still need to do the necessary studies," said Gines Benitez, head of the regional history museum in San Lorenzo, where the fossils were found. "I was digging and at one point found something very hard," the man identified as Alcides said. "I removed the soil around it and eventually found a huge bone," he told local media. San Lorenzo is located in the Pampas lowlands where other mastodons—part of the elephant family—have been discovered, several of which are on display at the history museum.